Perth based boutique property investor and developer GM Property Group has completed its fifth industrial acquisition in Melbourne paying $16.95 million on a passing yield of 7.34 per cent for a substantial industrial property at Mulgrave in Melbourne’s south-east. 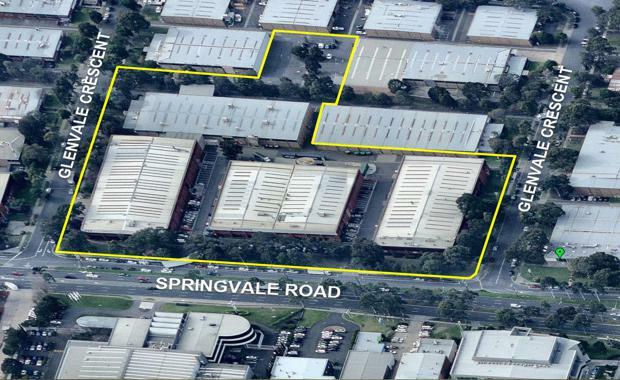 GM Property Group Director Blair Gerrard said the 730-750 Springvale Road purchase was in keeping with the Group’s investment philosophy of securing strategic, infill industrial property with high underlying land value. "The high profile main road location, recognised Monash precinct employment base, Special Use 6 zoning allowing higher value redevelopment options, multiple tenants diversifying the tenancy risk and low site cover are all favourable characteristics," he said. "Furthermore, future reversionary rental upside and the existing multiple titles providing development and divestment optionality, was compelling. "The deal brokered off-market by Savills Australia Directors Chris Jones and Ben Hegerty, reflected an underlying land value equivalent to approximately 75 per cent of the value of the property. "This was an astute purchase of a quality industrial property in a strategic main road, south-eastern locality, with minimal vacancy levels, at a price which reflected an excellent land value component. "Overall it was a fantastic investment opportunity providing substantial rental income and development and divestment flexibility or simply a rock solid long-term land bank with income,’’ Mr Jones said. Part of the original Enterprise Park which vendor Marks Henderson purchased from ING Industrial Trust in 2002, the property comprises 17,100 square metres across four high quality office and warehouse facilities on 31,147 square metres of land with three street frontages, four adjoining titles and six tenancies, the latest expiring in 2022. The property was sold subject to a weighted annual lease expiry of five years at circa $1.2 million per annum net. The tenants include Shop Fitters & Building Services, Moffat, Form A Sign, and ACER. The Mulgrave property is the second GM Property has purchased from the same vendor – Marks Henderson – through Savills recently following its acquisition of Brooklyn Distribution Centre at 600 Geelong Road at the start of the year for $19.65 million on an initial passing yield of 9.23 per cent. Marks Henderson has also been an active player in the property market this year with the sale of Brandon Business Park for in excess of $80 million and the acquisition of an office property at 52 Collins Street in May for a figure believed to be more than $32 million.